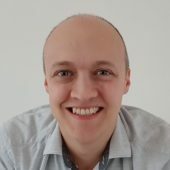 The UK Office for National Statistics has released their ‘Internet Access – Households and Individuals 2018‘ report, which among other things reveals that 90% of households in Great Britain have internet access (up from 89% in 2017) and 98% of those have a fixed broadband ISP connection. Email is the most popular activity. 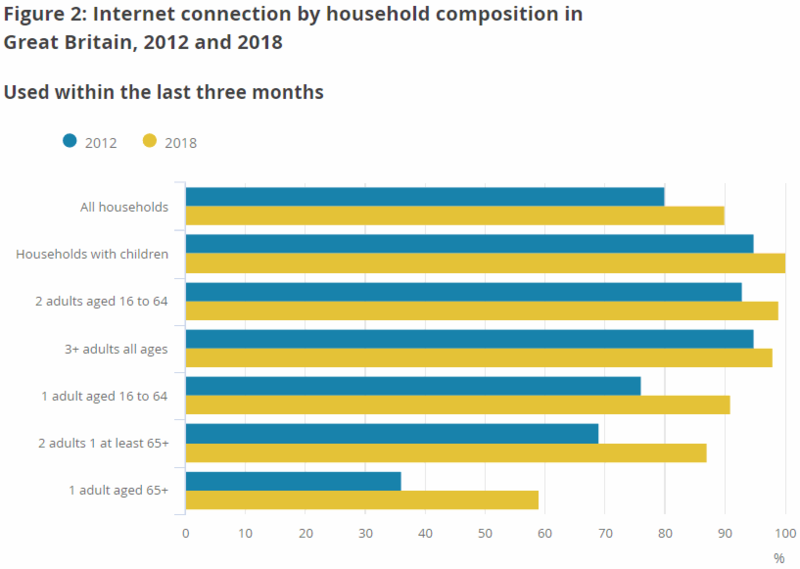 Predictably one of the biggest factors for the 10% of households that do not have an internet connection at home is age. 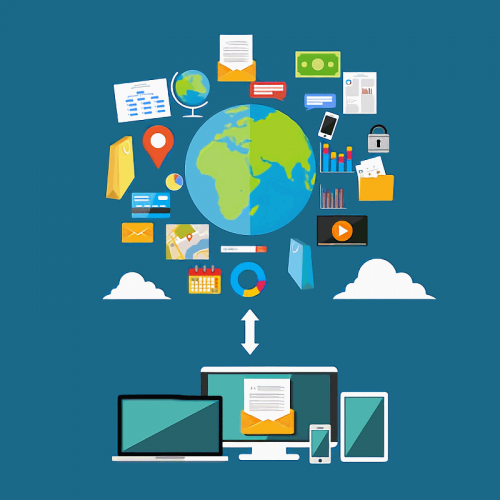 The research noted that households containing only one adult aged 65+ had the lowest proportion of internet access, at 59% in 2018. However, these households did still have the largest growth in internet access, up 23% since 2012 (compared with a growth of 10% in all households). 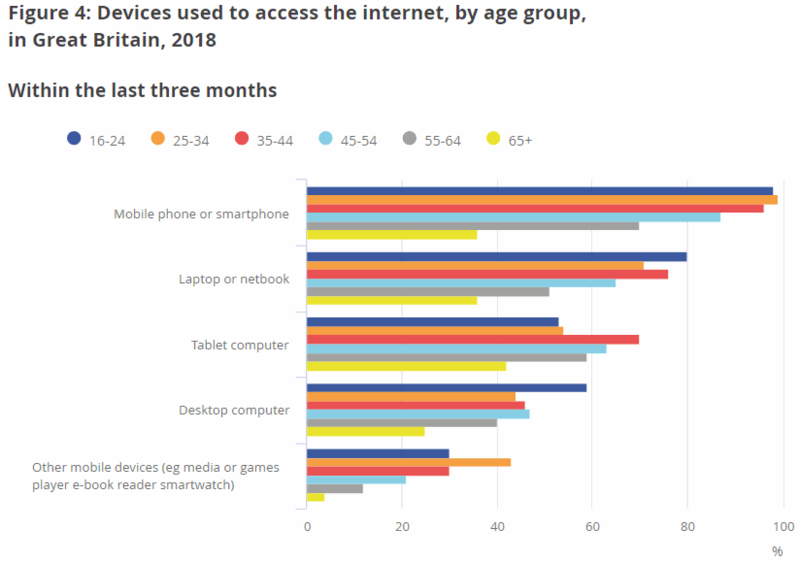 A separate study from the ONS in March 2018 similarly noted that 8.4% (4.5 million) of UK adults have never even used the internet (here), which again was largely put down to a mix of issues, albeit predominantly ones related to age or disability. Otherwise the percentage of adults who use the internet daily has grown from 35% in 2006 to 86% in 2018, while over the same period weekly use has declined from 16% to 4% (i.e. we’re all making much more regular use of the internet). The proportion of those who had not used the internet in the last three months has also fallen from 40% to 9% over the same time period. Meanwhile mobiles and smartphones continue to be the most popular way of accessing the net for 78% of adults, with laptops, tablets and desktop computers all following a fair way behind. Nevertheless it’s noted that 26% of smartphone users did not have smartphone security and 24% of smartphone users did not even know whether they had security software installed (the proportions are similar across all age groups). Perhaps surprisingly it’s noted that the most popular internet activity is still sending or receiving emails (84% of adults do it). A slightly smaller proportion also use it for finding information about goods or service and, after that, the closure of high street banks may be contributing to a sharp rise in online banking (see below). We also note that the proportion of adults who watched online video from commercial services (e.g. Netflix, Amazon, NOW TV) has risen by 17% points since 2016 to 46%. Similarly, the proportion of adults who watched videos on YouTube or similar increased by 15%, from 47% in 2016 to 62% in 2018. Sadly video streaming isn’t reflected below. The full report contains plenty of additional statistics, assuming you have nothing better to do today. I sent 2 letters a few weeks ago – once to my insurance company and a V5 to the DVLA both same day from 2 different post boxes. 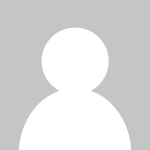 Neither got there – no wonder traditional post is dying. Opposite experience; mail always arrives and usually next day. Post dying? There are still some things that can’t be sent electronically, and often they are quite important (to the recipient; though, of course, not according to everyone else). What someone says they haven’t got something, it’s not always the fault of the post; though it’s always convenient to blame the bogeyman, for anything. As ever, the only thing that matters is our own opinion!